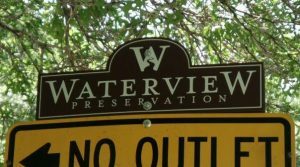 Waterview Preservation is a residential neighborhood that is part of the Richardson Heights neighborhood and is located on the west side of Richardson, TX in the 75080 zip code. It’s situated in the very center of the Arapaho Heights neighborhood and the homes flank the east and west side of Waterveiw Dr, between Arapaho Rd on the north and Belt Line Rd on the south. The neighborhood is within walking distance of Arapaho Classical Magnet, Richardson High School and Richardson West Jr High. Waterview Preservation currently has a voluntary home owners association. The neighborhood is served by the (RISD) Richardson Independent School District. You can find more information about the schools and neighborhood with the links below.